In every pick this week we’re talking to artists that we love about songs that they love. Mura Masa is the stage name of Alex Crossan who was born on the island of Guernsey which is a tiny island in the English Channel just north of France. Although he was born on a small island, his music has reached many. His song “Lovesick” has over 100 million plays on Spotify, and you’ve heard it on 88Nine Radio Milwaukee. 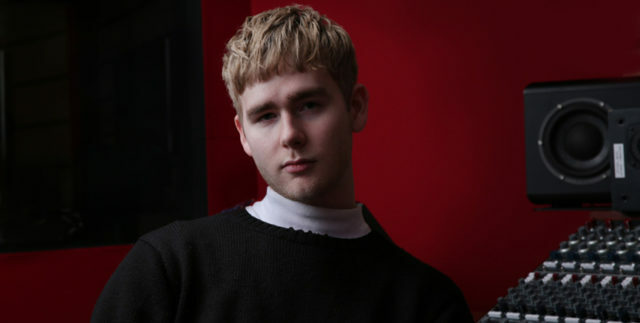 My guest today, is Alex Crossan aka Mura Masa. Justin Barney: Alex, what is one song right now that you can’t stop listening to? Alex Crossan: If I had to choose one I think it would be Calvin Harris, and Frank Ocean. Their song “Slide” is on every rotation in my life. It’s funny because I’m not really a Top 40 guy or I don’t listen to a lot of current pop music, but there’s something about the way Calvin Harris does stuff. He classy and combined with Frank Ocean who’s constantly the coolest man on Earth; I just think it makes for an amazing track. Justin Barney: What is the allure of Frank Ocean? Alex Crossan: He is honest, he enjoys his privacy which I think a lot of real people can relate to, and he’s not a caricature of any sort he’s just low-key très cool dude. He’s really talented I just he’s a once in a generation songwriter. He just surrounds himself with good taste I think and that’s desirable. Justin Barney: Yeah to me it’s amazing that he can keep himself so far away and yet seem so close and personal. You know? Alex Crossan: Definitely. It’s effortless cool isn’t it? It’s not like he’s overly trying to keep himself out of the spotlight but he just manages to do it anyway. Justin Barney: Right, definitely. What does the song sound like? Alex Crossan: It sounds like kind of an updated funk song which has this air of a tropical feel to it but not in a cheesy way. It’s kind of a low-key Frank Ocean love song in the hell of a Calvin Harris dance song. We always start the week by asking one artist that we love to tell us about a song that they love. St. Vincent is from Dallas Texas. She might be the greatest guitar player in existence right now and is a true artist. We are playing her song, “Los Ageless,” right now. Our guest this week is Annie Clark, AKA St. Vincent. Justin Barney: What is one song you can’t stop listening to? Annie Clark: Oh boy, you know what I was listening to just the other day? Oh this is not really a jam in the traditional sense, but I was listening to “Spirit of Eden” by Talk Talk. Justin: Ahh, is there a time and a place that Talk Talk reminds you of? Annie: To me it’s divorced from any people or places. To me it’s headphone music in random cities all over the world. It’s a beautiful record. It’s a whole piece of work and it’s a real unfolding meditation. Light a candle, turn off your phone, and listen to that record. This is “5 Songs We Can’t Stop listening To” and we always start off by asking one artist that we love to tell us about a song that they love. 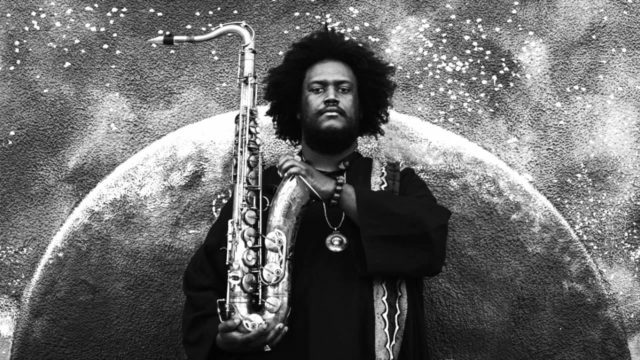 Kamasi Washington is a jazz saxophonist, composer, producer, and band leader. He’s been featured on many albums including records from Kendrick Lamar, Ryan Adams, and Run the Jewels just to name a few. His 2015 album “The Epic” inspired a whole new interest in jazz music. It is my honor to have on the show, Kamasi Washington. Kamasi, what is one song right now that you can’t stop listening to. Justin Barney: Yes. What’s your history with Thundercat? Kamasi Washington: We grew up together. His dad, and my dad had a band together. Justin Barney: His dad and your dad had a band together? Kamasi Washington: Yeah I met Thundercat before he was born. Kamasi Washington: Yeah when he was a baby in his mother’s stomach, me and his brothers were really close friends. Our first band that we both had was called, Young Jazz Giants. He was probably 12 when we started that band. Kamasi Washington: Oh man I love it. There’s a good story to it, and the way he’s able to weave together all of these different thoughts that happen to a person over the course of life and today. It’s one of those records that doesn’t have a real time to it. It’s just like a series of events that happen over the course of a day but also the course of a life. Justin Barney: Can we key in on one song? Kamasi Washington: “The Turn Down” is one of my favorite tracks from it. Justin Barney: And what is “The Turn Down” about? Kamasi Washington: What I read into it is that sometimes when you’re intoxicated, you get a degree of clarity in the chaos and start to really reflect on what’s going on. You start to realize how things you thought were important aren’t, and things you didn’t think were important are. Just kind of a real interesting reflection on all that. This is “5 Songs We Can’t Stop Listening To” and sometimes I pick the song, sometimes on staff picks the song, and sometimes we ask an artist that we love to pick the song. This is one of those days. 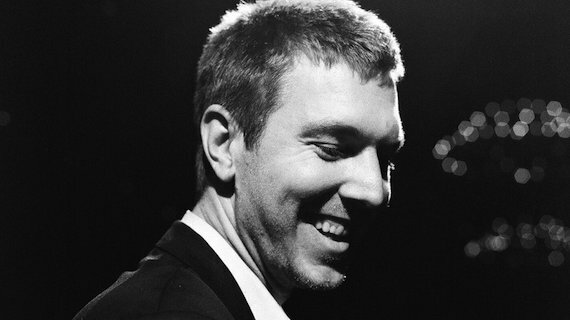 Hamilton Leithauser is a bit of a statesman in indie rock. He used to front the band The Walkmen, he’s done work with Vampire Weekend’s Rostam recently, and he has released a string of solo albums that we’ve loved and played from every single project that he’s done. I’m here with Hamilton Leithauser. Justin Barney: Hamilton, can you give me one song you can’t stop listening to, or that has been in your head recently? Hamilton Leithauser: Sure I’ve been listening to Panda Bear a lot recently. Hamilton Leithauser: Yeah I like their song “You Can Count On Me” which is the first song on their record “Tomboy.” It has a real positive message and lyrics but I’ve been playing it around the house so much that my three year old daughter hears it wrong and she sings “no one can count me.” It’s just really funny to hear a three year old saying it and it just has the opposite sentiment to it. Justin Barney: That’s so wonderful. Justin Barney: Being sung by a three year old. Hamilton Leithauser: Yeah it’s perfect. Justin Barney: Well let’s do it. This is “You Can Count On Me” from Panda Bear. Every week we start off by asking one artist that we love to tell us about a song that they love. 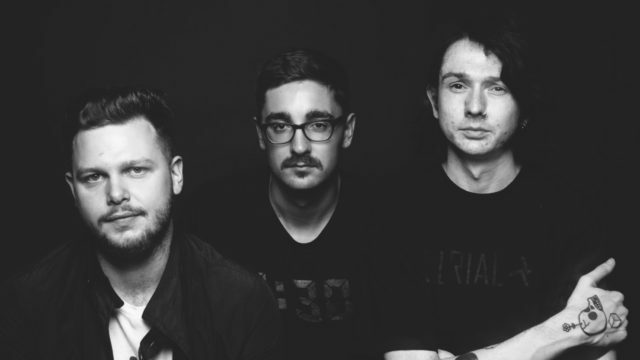 Today my guest is Alt-J from Leeds, England. They’ve had three albums, “An Awesome Wave”, “This Is All Yours”, and “Relaxer.” They’re one of the biggest bands in music right now. They’ve won Mercury prizes, Grammy nominations; you know who they are. Right now we’re playing their song, “Deadcrush.” I’m here with Gus Unger-Hamilton of Alt-J. Justin Barney: Gus, what’s one song that you can’t stop listening to right now? Gus Unger-Hamilton: There’s a song by a band who’s a friend of ours. They’re called Viva Brother, and they’re coming back after a six or seven year absence to release their long awaited, long lost second album. They dropped a new song called “Womankind” recently which I’ve been listening to an awful lot. They’re really nice guys, and a really great band with huge amounts of energy, charisma and fun. I’m really pleased that they’re coming back together to put out this second album, have a laugh, and see what happens with it. I think it’s brilliant. Justin Barney: That’s great. What do you like about their style? Gus Unger-Hamilton: They’ve got a very sort of traditional Britishness to them. They come across as sort of arrogant but just cheeky, and they’re very smart. I think that’s what I like best about them. That combination of intelligence and a good amount of rock ‘n’ roll swagger as well. Justin Barney: That sounds very British. Justin Barney: What does the song sound like? Gus Unger-Hamilton: It sounds kind of like really good 90’s rock. That’s the best way I would describe it. High energy, cool 90’s rock. For me it’s just a song that I keep putting on, and it just makes me feel good. That’s the best kind of music I think. “Womankind” was released as a single earlier this year via Pretty Records.